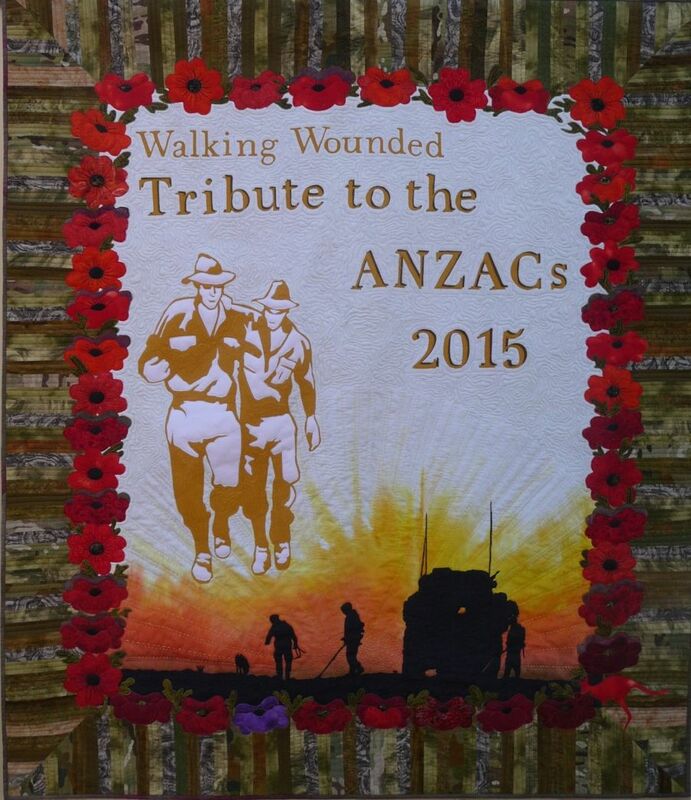 This beautiful quilt was made by WAQA (and Contemporary Quilt Group) member Liz Humphreys and presented to the director of the Australian War Memorial, Dr Brendan Nelson, at a dinner in Canberra on 10 November 2015, the eve of Remembrance Day. 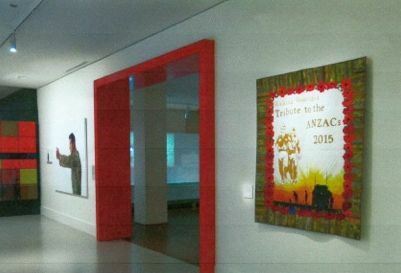 It is now hanging in the Australian War Museum collection. serving our nation’. Their journeys have been an amazing way to commemorate the centenary of the ANZACs and to raise awareness of post-traumatic stress disorder among our young veterans. You can read more about this quilt in the December edition of the Quilters’ Quarterly. Liz is now off to Canberra to see it in it’s new home. Well done Liz…it’s an amazing quilt! 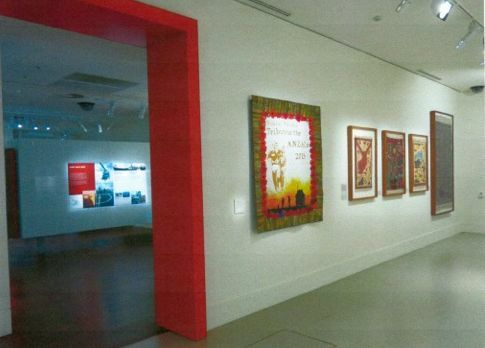 This entry was posted in Exhibitions, Notices and tagged Awards, members. Bookmark the permalink.